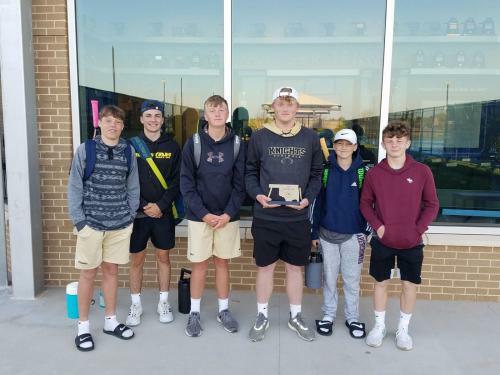 Congratulations Henryetta Junior High Boys Tennis. Josh Osterdock, Blake Nash, Riley Padgett, Riley Pixler, Ethan Lovell, and Nick Hudson finished 2nd at Heritage Hall Qualifier and Qualified for STATE. Congratulations! 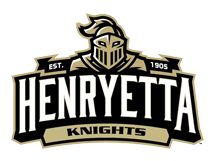 Henryetta Boys and Girls Tennis competed at 4A Classic in OKC last Friday, and HHS Boys Tennis won the championship. 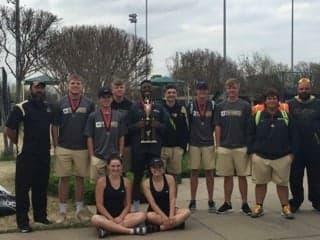 Good job Bailey Davis, Haley Glass, Kacey Martin, Skylar Thomas, Grant Holder, Conner King, Cory Knox, Jordan Knox, Keaton Lollis, Blake Nash, Jordan Osterdock, Josh Osterdock, Riley Padgett, Jose Perez, Riley Pixler, Ty Reid, John Ritter, Gabe Stevens, and Colten Wion.